Life | My New Car ft MyCarCheck! As many of you already know, 2016 didn't start out that great for me and there was quite a few bumps in the road. The main bump (more like a hill!) was that my beloved Golf decided to set itself on fire just 5 days into the new year. Thanks a lot friend! 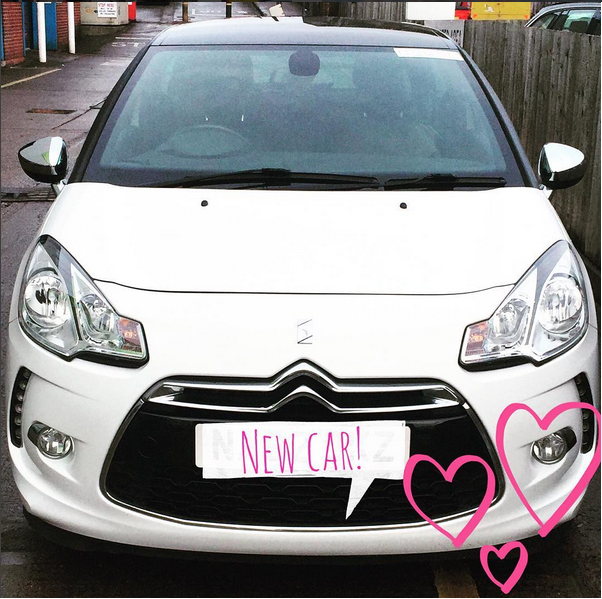 After everything was settled with the insurance, the prospect of getting a new car did make me slightly happy again. I've had my eye on a few cars since the "incident" and after a bit of discussion, my heart was set on the Citroen DS3. I am a bit of a car freak and that's mainly due to my dad and my aunt so looking for a new car always excites me. But after my past history with buying cars that break down on me, I'm always a little scared with what car I'm getting. Some cars can look great in the showroom or even on a test drive, but I guarantee that after a few weeks, things will start to go wrong on it. It's just my luck. To help make sure that never happens to people again, MyCarCheck have come up with the quick and easy way to check your car's history without making the same mistakes I did. From £1.99 to £19.95, there's different packages with a variety of different checks made on your car. As you can see from the check below, my new car is pretty good which does give me a bit of comfort that there might be any hidden problems with my car. Always a plus! 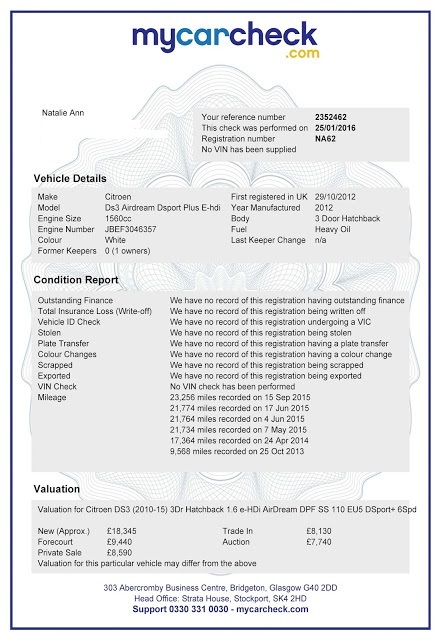 As well as letting you know and problems it's had, it also gives you a handy guide of what you should reasonably be paying to buy this car, or what to value it at if you're looking to get rid. This in itself is quite handy! If you're looking to buy a new car or would just like to know a bit more of your current cars history, then check out mycarcheck.com to find out today!